Tis the Season but No Matter the Reason – need a place to accommodate a large get together, business Christmas party, family reunion, wedding, anniversary celebration – whatever the occasion Fairbury’s Walton Centre is an ideal place to turn your plans into reality. This facility is a “showcase” in a beautiful Historic Ballroom Venue and it comes with a vast array of services and accommodations. 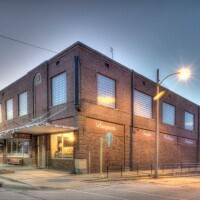 Located in the backdrop of Fairbury’s renown Main Street at 100 West Locust Street, it has a 450 person capacity, it is economically priced, and the services available include the bar, food catering, and music provided by an experienced DJ that will top the event off in style. There is also a Photo Booth function that can provide your guests with a momentous keepsake for all to enjoy and there are several levels of provisional packages that can be tailored to your interests. 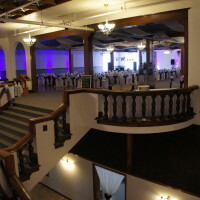 The Walton Centre has built a solid reputation by providing its users with a comfortable and affordable facility with a complete menu of amenities that is accomplished in a uniquely lavish atmosphere that reflects the grandeur of the old time ball room. In addition to the catering and DJ services they also have a tuxedo rental service as well as a floral arrangement availability – they’ve got it all and you can use it all or, substitute your own alternatives for any part of your planning requirements. The historic building contains a beautifully-designed interior complete with natural woodwork, unique architecture, and a cinderella staircase. You can choose your own catering, and enjoy the beautiful building with your party. The facility is handicap accessible, and it has a very nice Reception Area indoors – its run by professional people who have a “down home” understanding of what their neighbors need and want and they’ve got all the angles covered. So, if you have an event that needs a home the Walton Centre is a great place to check out – you can go on line at www.waltonc.com and get more details, you can check out submitted comments about past experiences on their facebook page, you can give them a call at 815-692-2616, and, for further reviews, you can check them out at the www.theknot.com web site. Rick and Jeanne Wilson are the owners and operators and they have the experience to make your experience a good one – give them a shout and you’ll see what we’re talking about.